Kathmandu, 9th January 2019: Selfie Expert and Leader OPPO, has launched a New Limited Edition Variant for its globally acclaimed Smartphone, OPPO F9. 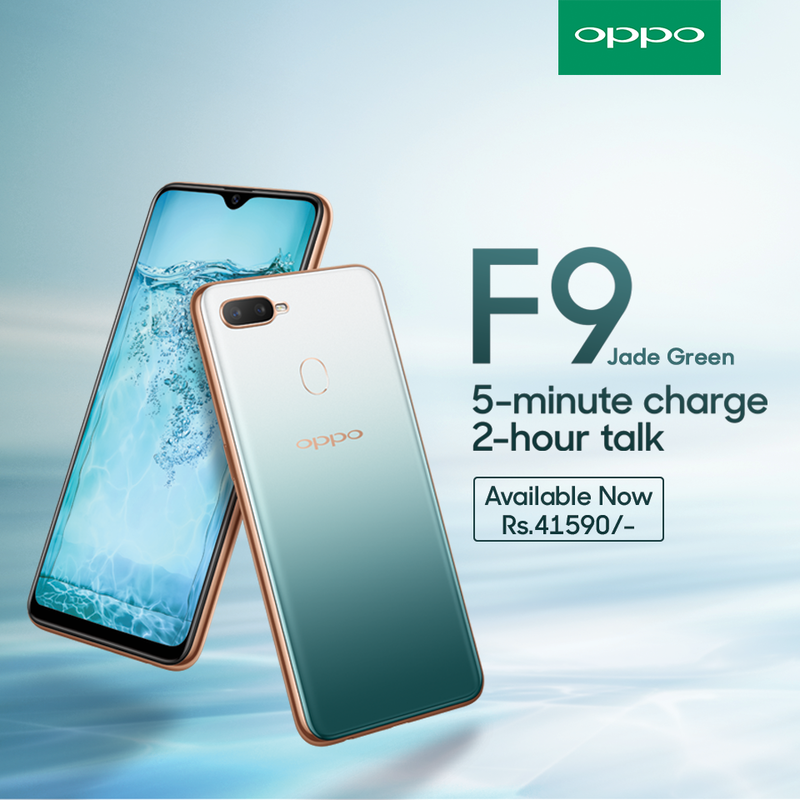 After Gaining unprecedented popularity for the OPPO F9, which debuted last year in three colors, namely Sunrise Red, Twilight Blue, and Starry Purple, this Limited Edition is now made available in a brand new color called “Jade Green”. The F9 Jade Green Limited Edition is priced at Rs. 41,590. Mr. Bobby Zhao, CEO, OPPO Nepal said, “Thanks to all the love and support we've been bestowed with for F9. It has done exceptionally well in the market. We have designed this Jade Green, limited edition keeping the youths in mind. We connect with the youths through our smartphones and that is why design is very important to us”. “OPPO wants its users to have some great options to choose from while also providing them with innovative technologies. So far the brand has been incredible at keeping a balance between its approach towards visual appeal and technical brilliance and hopes to continue along the same line. F9 Jade Green will provide both visual appeal and technical brilliance to the users,” Bobby added. The specifications for this F9 have been kept unchanged. The VOOC Flash Charge technology in this smartphone comes with a guarantee of 5-minute charge and 2-hour talk. This has been tried and tested by the users and OPPO has been successful in providing the longest talk-time with just 5 minutes of charge. This new addition in the F9 Family will provide the same user experience, however, in a completely different look. Jade Green variant provides a natural transparent look with a combination of hues of white-sand beaches, clear waters, and lush rainforests.